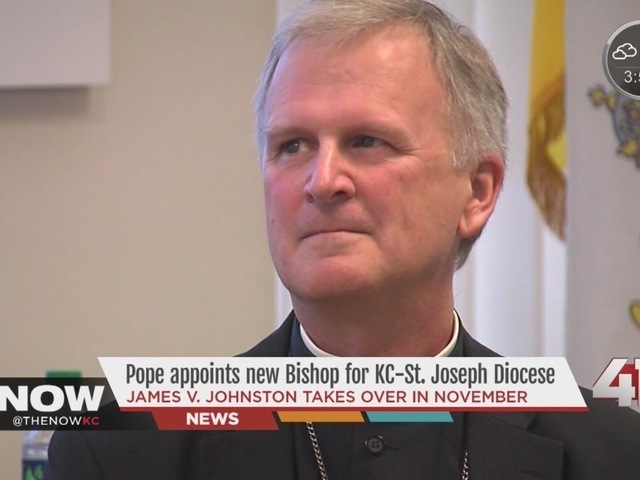 KC-St. Joseph has a new bishop. Pope Francis has appointed Springfield-Cape Girardeau Bishop James V. Johnston Jr. as the seventh bishop of Kansas City-St. Joseph. Johnston was consecrated as bishop for the Diocese of Springfield-Cape Girardeau on March 31, 2008. 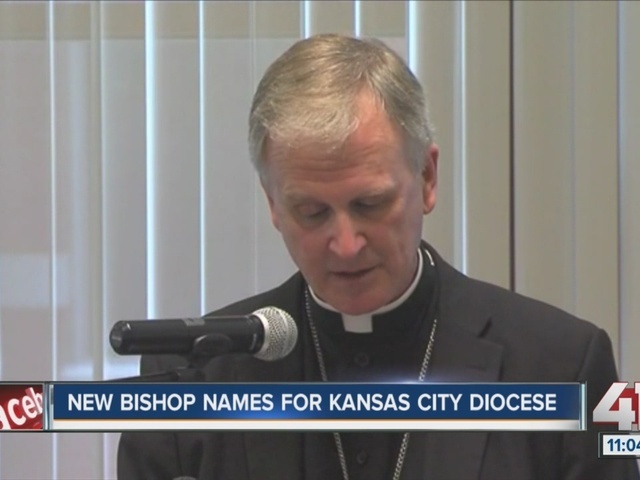 He will continue as administrator of that diocese until his installation as bishop of Kansas City-St. Joseph on Nov. 4, according to the Kansas City-St. Joseph Diocese. Most Rev. Joseph F. Naumann, the apostolic administrator of Kansas City-St. Joseph, introduced Johnston to Chancery staff on Tuesday morning in the Catholic Center at 20 W. Ninth St. in Kansas City. 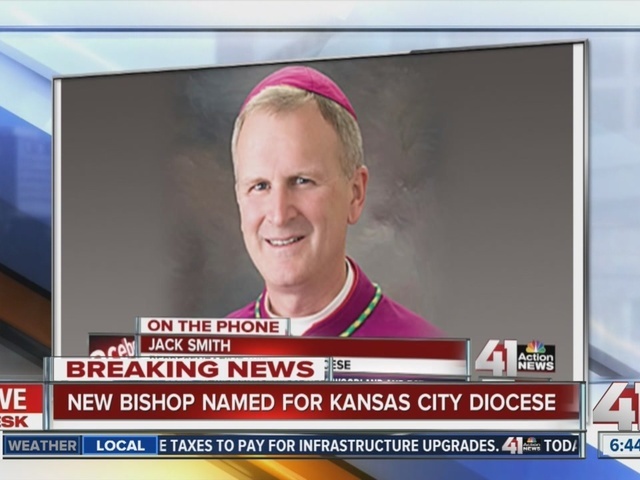 Johnston is the new bishop following the resignation of Bishop Robert Finn, who left the Kansas City-St. Joseph Diocese in April 2014. Archbishop Joseph F. Naumann of Kansas City in Kansas served as interim leader of the diocese. Finn had been under scrutiny for several years after a conviction in 2012 in Jackson County Court of one misdemeanor count of failing to report suspected child abuse. Johnston said he doesn’t know much about the controversy that plagued area churches but said he will be diligent in learning more. “I believe God is calling me," Johnston said about agreeing to head the diocese following the child abuse scandal. He could have said no but said he believed the pope appointed him because he knows he will return trust to the area. Who is Bishop James Johnston? Johnston was born on Oct. 16, 1959 in Knoxville, Tenn. He attended Catholic elementary and secondary school and in 1982 earned a B.S. in Electrical Engineering from the University of Tennessee in Knoxville. Johnston left a career in engineering in 1985 in order to pursue a call to the priesthood. He attended St. Meinrad School of Theology in Indiana, obtained his Master of Divinity Degree there in 1990 and was ordained a priest for the Diocese of Knoxville on June 9, 1990. He earned a Licentiate in Canon Law from the Catholic University of America in 1996. In Knoxville, he served in parish ministry and as Chancellor and Moderator of the Curia. In 2005, Johnston and two other priests were awarded the Citizens Award for Bravery by the U.S. Department of the Interior for helping save a family in danger of plunging over a waterfall in Glacier National Park. As bishop of Springfield-Cape Girardeau, he has successfully encouraged vocations to the priesthood, helped establish Catholic Charities of Southern Missouri and supported the Catholic Worker movement. Among his national commitments, Johnston served on the U.S. Conference of Catholic Bishops’ Committee on Child and Youth Protection and is currently Episcopal Liaison to the National Council of Catholic Women. 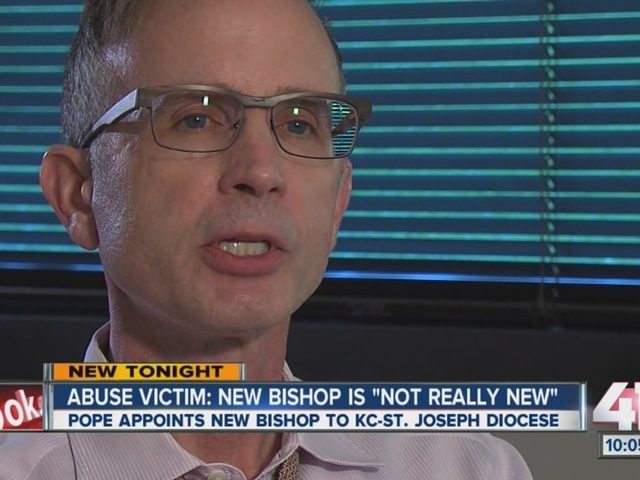 Although he wasn't a part of the scandal that caused years of upheaval, Johnston said on Tuesday two words so many victims and parishioners want to hear from a new bishop: "I'm sorry."